Dr Patrick Sunderland completed his medical degree at The University of Notre Dame Sydney in 2011. He spent the first years of his career at St Vincent’s Hospital Melbourne gaining experience in the fields of orthopaedics, general medicine and general surgery. He later moved into critical care, gaining skills in airway management, emergency medicine and anaesthesia. His lifelong passion for sport steered his career to sports medicine and Patrick has commenced work at Epworth Sport and Exercise Medicine as a Registrar with the Australian College of Sport and Exercise Physicians. Patrick has extensive sports medicine experience working with several different teams. 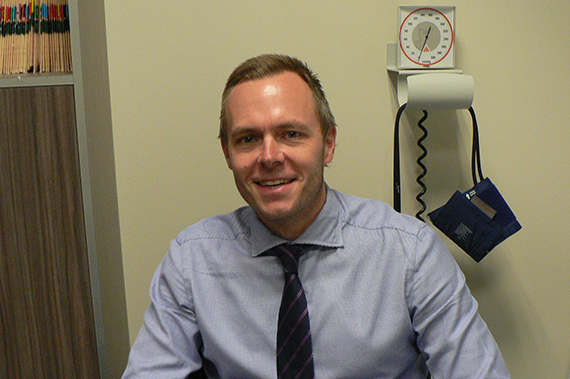 He is currently one of the club doctors at Essendon Football Club in the AFL. He previously worked as the Chief Medical Officer with the Port Melbourne Football Club in the VFL. Patrick also works at the Victorian Institute of Sport helping a range of elite athletes manage their injuries as well as their general health concerns. He enjoys assisting patients of all ages, sports and abilities with a goal to promote exercise as a lifelong prescription for good health and a healthy lifestyle. He is passionate about treating all musculoskeletal injuries – recreational, elite or work-related. Patrick’s passion for sport continues on a personal level, he enjoys running, squash, gym, golf, surfing, snowboarding and these days the occasional kick of the football.